One Cup Coffee at The Junction has been in business in Shoreline since 2014. It is the third of four coffee houses owned by Christian Kar. 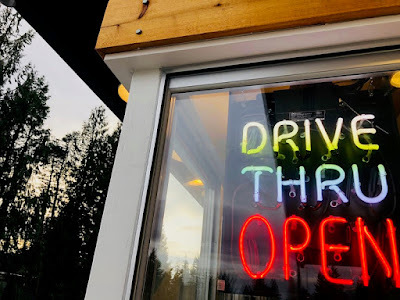 One Cup, which boasts the largest interior of any coffee shop in the area, is located on southbound Aurora - a natural for a drive thru. The entrance is just past N 170th and the corner lot owned by Chuck Olson Auto at the large sign that says The Junction. The window will be open Monday, January 29, 2018.